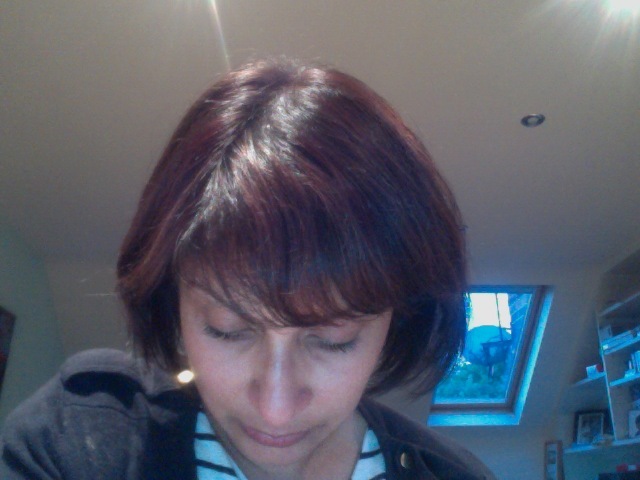 Unusually, I think, for someone of Asian orgin, I’m really not particularly attached to my hair. I have no qualms about having it all chopped to a crew cut. As a result, it’s really been the full spectrum of lengths, from very long to boy cut short. My mid-brown natural colour has similarly been dyed pretty much the full spectrum of colours over the years. Anything from a very fetching light caramel to a deep red. As for colour, I do now have very firm views about what suits someone of a more olive complexion. I really think anyone of olivy/light brown/dark brown complexions should AVOID blonde highlights, for the simple reason that it’s just too similar to our skin tone, creating a kind of washed out look, which is really just exaggerated further if you highlight your hair in the summer months, when the the effect is a sun-bleached, brassy one, which is bad-enough on a caucasian skin tone, but pretty horrendous on a more olive one. As for red tones: I have a love/hate relationship with them. ‘Love’ because they can look fab when just done, and ‘hate’ because they just really never seem to last more than a month. A few caramely streaks around the fringe, and reddish highlights elsewhere. (As always, apologies for the quality of the photo, but I do love the instantaneousness of the photo booth on my new Apple pro laptop!). So, here’s my next dilemma. What do I use to maintain my lovely new coloured locks?? For those who haven’t got a mirror handy (! 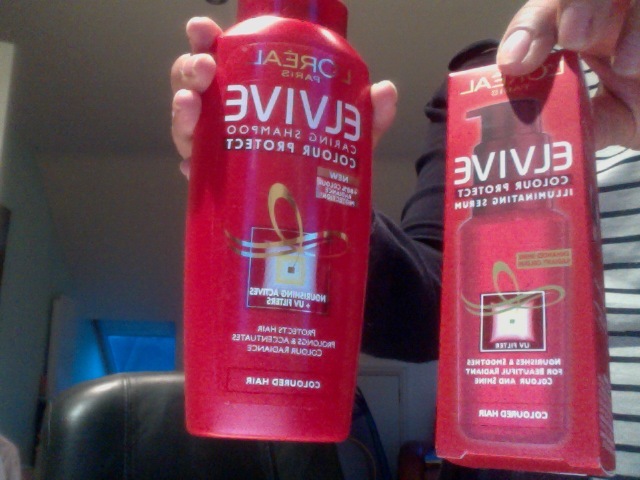 ), it’s ‘LOreal Elvive Caring Shampoo Colour Protect’ and L’Oreal Elvive Colour Protect Illuminating Serum’. I am particularly excited about the latter, which promises to ‘nourish and smooth’ my overprocessed hair. « Nars’ ‘The Multiple’: finally found the perfect shade!